The Big Idea: Learning moments can happen anytime and anywhere. Read this storybook to help you talk, bond, and learn with children at home or on-the-go. 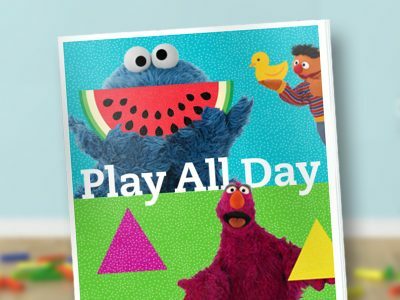 Encourage your child to participate in this interactive reading by doing the activities with the Sesame friends. What page is kids’ favorite? Spend extra time talking about it.